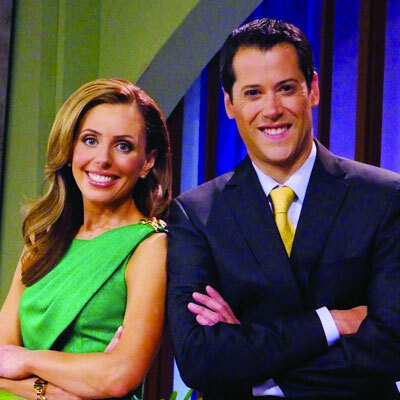 Danielle and Andy Mayoras are co-authors of the best-selling book, Trial & Heirs: Famous Fortune Fights!, husband-and-wife legacy expert attorneys, and TV and print media go-to experts. The charismatic duo are respected media resources and have lent their expertise and analysis to hundreds of media sources, including The Associated Press, Los Angeles Times, Vanity Fair, ABC News, The Wall Street Journal, Kiplinger, and The Washington Post, among many others. They have also appeared on the Rachael Ray Show, Entertainment Tonight, The Insider, Forbes, Access Hollywood, and FOX and NBC affiliates. With their popular Trial & Heirs blog, Danielle and Andy discuss the latest celebrity estate cases with tips to help families, professionals and clients. In addition, they are regular contributors to Forbes as well as several other publications. As dynamic keynote speakers, Danielle and Andy delight audiences nationwide with highly entertaining and informative presentations, dishing the dirt on celebrity estate battles while dispensing important legal information to help people avoid family fights among their heirs. The couple met while attending the prestigious University of Michigan Law School and are proud parents to three wonderful children.